Fountaintown Forge has the flexibility of forging for all types of customer forging requirements including closed die and open die net shape parts. Forging specification requirements can be directed toward aircraft, commercial, or industrial applications. Learn more about our Aerospace Forging capabilities on our aerospace forgings page. 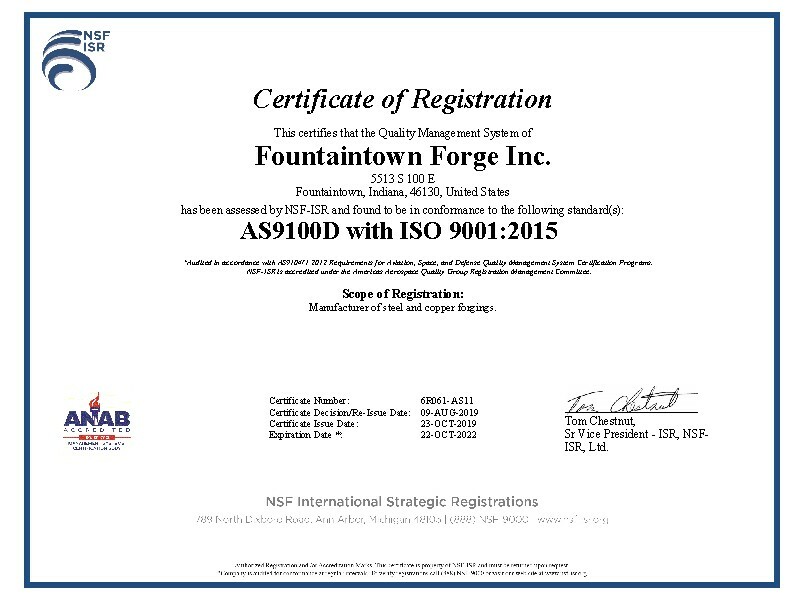 Fountaintown Forge takes pride in housing a large selection of materials from non-spec carbons to super alloys for the commercial, industrial and aircraft for customers forged part requirements. Our Alloys We Forge page has a fairly comprehensive list of materials we forge. If you don’t find what you are looking for on that list, contact us and we will help you find a solution. 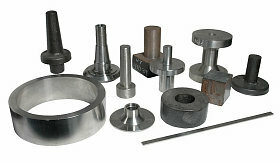 Open-die forgings are available in a wide variety of shapes including Rings, Bars, Hubs, Double Hubs, Step Down Shafts, Bars, Discs, Sleeves, Blocks, Square to Round, Spindles, and Plates. You can view sample shapes here. 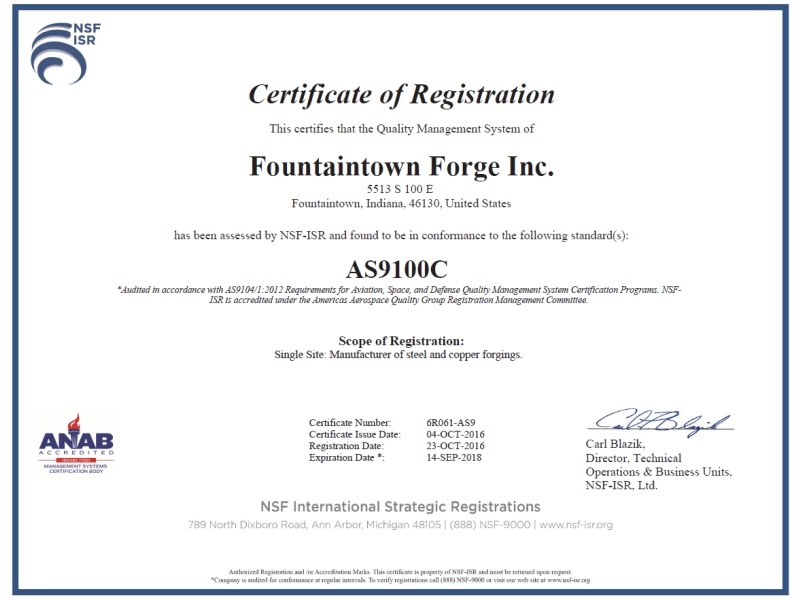 In addition to custom forgings, Fountaintown Forge offers machining and heat treating services, both in house and through industry partners.